A California couple lives aboard this classic bluewater cruiser, following a complete restoration which they undertook themselves. 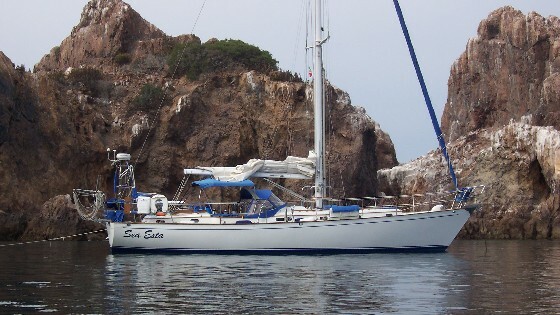 It was Walter and Ellen Bruj’s first passage with Soltara, the 1978 Tayana 37 they’d bought in 1998 and spent some six years refurbishing. The 700-mile course from Galveston Bay, Texas, to Isla Mujeres, Mexico, was set, and they left in beautiful Gulf weather in February 2004. The Tayana tale started 10 years ago, when the experienced cruisers began looking for a boat to replace their Alberg 35 — something with more living space, more storage. 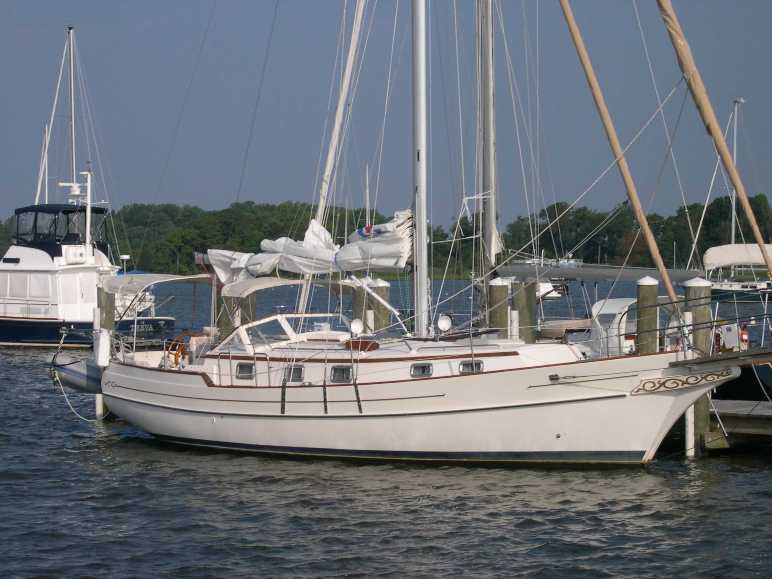 “A proven, salty, seaworthy, bluewater cruising sailboat,” as Bruj puts it. The couple made the commitment. They quit their jobs, sold their home and sailboat and cars, and bought a 40-foot ocean cargo container to store their few remaining “land” possessions. Relocating to Texas, they moved aboard Soltara, planning on a 6- to 8-month recommissioning. It wasn’t long before reality set in and the two decided to go for a full restoration, inside and out. The project list was extensive, but the boat’s pedigree seemed to warrant the work. Awlgrip topsides and cabin interior, new through-hulls, new and relocated fuel and water tanks, a new compression post, new electric windlass, a new bowsprit — the list goes on, says Bruj. The two ended up putting near twice the purchase price into the boat, but it was all worth it. 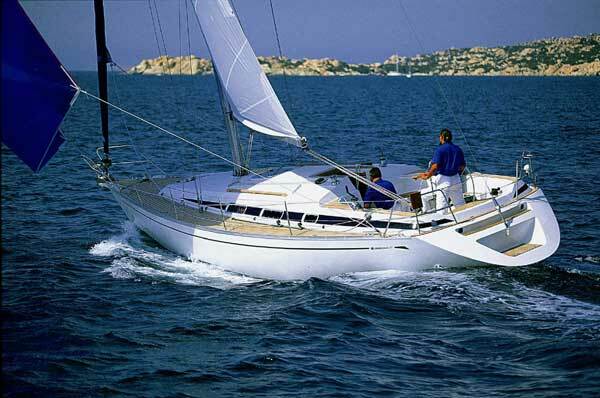 Ready to sail in 2004, Soltara was a sound, well-equipped classic bluewater cruiser. And the couple had the feeling that their attention to details, such as putting together the prepacked sea anchor, would pay off on the open sea. In Soltara — which means “set free” in Spanish — the Brujes have the bluewater cruiser they’d always envisioned, capable of making the passages they’ve dreamed of. They’ll transit the Panama Canal, then perhaps Ecuador and the Galapagos, the “Coconut Milk Run” through the South Pacific to New Zealand. Tahiti, Hawaii, Alaska — they’re all possibilities. 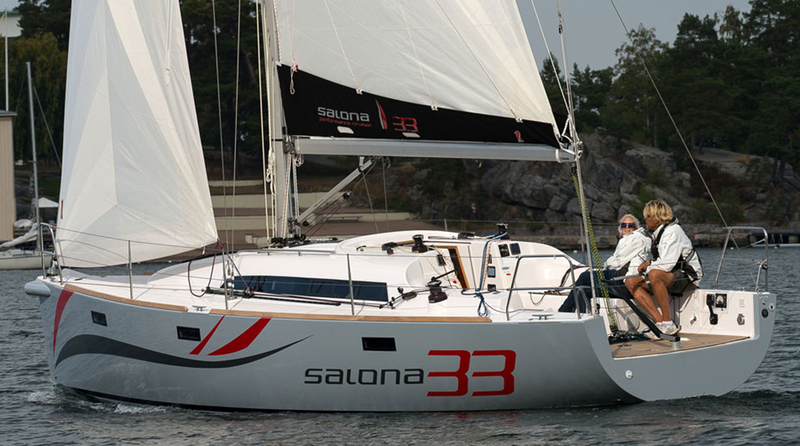 “Soltara has proved to be a very reliable bluewater cruiser and a good home,” says Bruj. “We still feel the Tayana 37 is one of the best buys out there, with plenty of living and storage space for its size — very stable, forgiving and comfortable under way.” And, like its owners, ready for distant horizons. The Tayana 37 is distinguished most by its double-ended hull. The deep, full-keel bottom is designed for bluewater cruising, and the vessel’s 22,500-pound displacement includes 8,000 pounds of outside ballast. Construction is solid, hand-laid fiberglass. Designer Robert Perry drew up two twin-headstay rigs, and the boat was rigged either as a cutter or ketch. 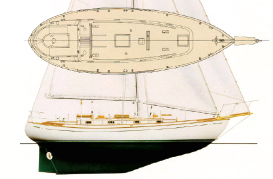 Both versions carry large sail plans — the cutter more than 800 square feet, the ketch more than 750. 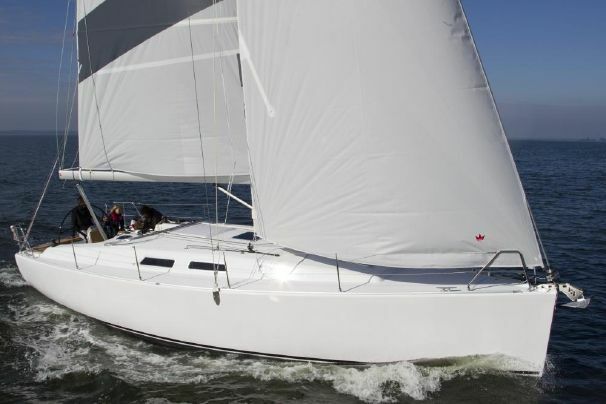 They’re based on a high aspect mainsail for upwind work and twin headsails for versatility. The deck profile shows a traditional trunk cabin ahead of a roomy aft cockpit with pedestal steering and controls, surrounded by a high coaming. Bow and stern pulpits are joined by double lifelines with both port and starboard gates. There’s also a pilothouse deck plan with a protected steering station. Three cabin arrangements were offered, depending on the type of rig. 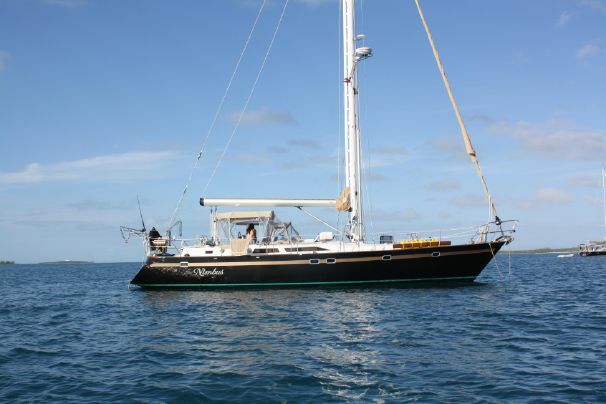 In both the cutter and ketch versions, the U-shaped galley is aft and to port, at the foot of the companionway, with a quarter berth across the way. The main cabin has a U-shaped dinette with a table to port and a convertible bench/bunk to starboard, though the ketch adds a permanent bunk at the bench. Both versions have a forward V-berth, with the enclosed head just aft and to port. In the pilothouse version, the master cabin is forward, with a double berth instead of a V-berth, and includes a small sitting area. The saloon has a larger dinette, but the convertible bench to starboard is replaced by a linear galley, and the head is to starboard. There’s also a double berth aft and to port, where the galley is in the other versions. All interiors feature teak joinery and cabinetry. Tayana 37s can be found virtually anywhere. An Internet search turned up vessels as far away as Panama and Mexico. 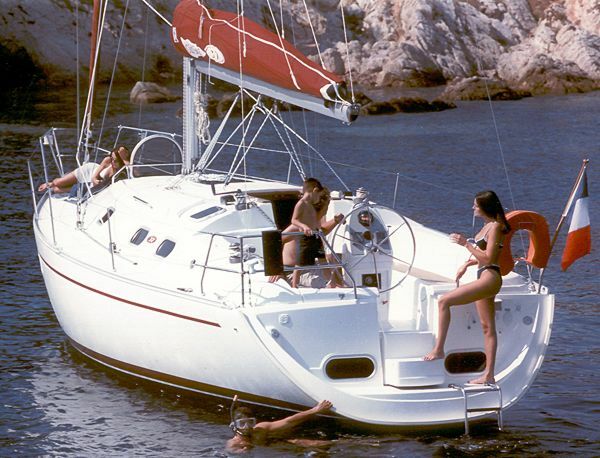 Early boats, 1970s vintage, begin at less than $50,000 and run into the mid-$60,000 range. Prices for boats from the mid-1980s usually exceed $100,000. A few examples: a 1981 cutter in Maine was listed at $47,500; a 1978 cutter in Maryland was listed at $59,900; a 1979 cutter in Florida was selling for $65,400; a 1987 cutter in Texas was listed at $110,000; a 1988 cutter in Michigan was listed at $129,000. 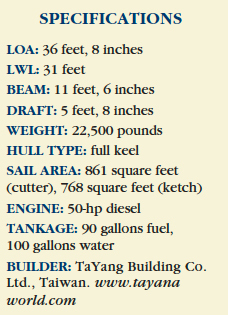 The Tayana Owners Group (www.tognews.com) also has listings of yachts for sale. 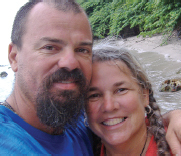 Steve Knauth is a contributing writer for Soundings Magazine. This article originally appeared in the November 2007 issue.